demand for whisky has never been stronger and it must be a nightmare making predictions on demand a decade or so in advance. Well, what a busy festive period that was for all of us at Hennings with whisky flying off the shelves to keep the winter blues at bay. Now the quieter months are here I can ramble on again about the beloved spirit! I managed a few trips to Scotland last year and made it to several distilleries to taste and soak up the atmosphere at as many visits as my wife would allow me. It has surprised me in that rather than competing against each other, they all seem to be pushing in the same direction together and yes, although some distillers do things differently, there seems to be a real camaraderie in the trade as a whole. Global demand for whisky has never been stronger and it must be a nightmare making predictions on demand a decade or so in advance. I’ve noticed in the past 12 months, more than any other, a shift away from core expressions with age statements to ever increasing non-age statement malts. If you look at this from the distilleries point of view it’s easier to dip into slightly younger stocks moving forward if demand outstrips current production levels, but will this affect the quality of the product? The industry seems divided on this point. The non-aged whiskies are certainly marketed very well with bold names and clever packaging, and the majority of the buying public in my opinion have been taken in by this more than realising that the age statement (the legal age the youngest whisky in the bottle must be) has disappeared, without knowing the implication of this. The world seems a smaller place regarding exports and I totally understand the strategy behind them doing this but ultimately for me the new non-aged expressions I have tried so far fall short compared to the previous aged offerings. Yes, most distilleries still have age statements on other, usually more expensive, malts in their ranges but core or entry level sales are their bread and butter. Ultimately we are going to see more of this as the demand on stocks increases. But on the plus side we, as a buying public, have never had so much choice with new expressions appearing on a regular basis. I managed to visit London in October to taste the entire Diageo range along with all the rare releases from closed distilleries and I have to say I had forgotten how good some old favourites tasted, none more so than the Linkwood 12yr old Flora and Fauna, my personal top malt of the year and still just under £50! And what better way to replenish your stocks for 2016 than with ‘The Classic Laddie’? 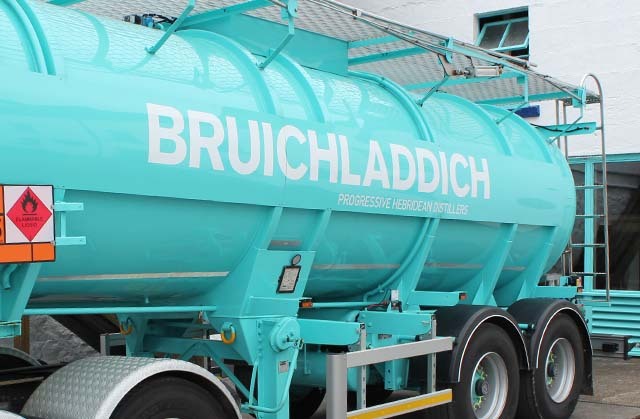 Yep that unmistakable pale blue bottle that sticks out a mile on our shelves, the unpeated version of the now infamous Bruichladdich from Islay. ‘The Classic Laddie’ is the signature bottling from the “progressive hebridean distillers” (their words not mine). It uses 100% Scottish barley, and for those who were not aware, Scotland cannot produce enough barley required so source from outside the Scottish borders in large quantities. For example, Norfolk produces vast amounts of barley for many distilleries north of the border. Originally the brainchild of Jim McEwan who has now retired and passed on his wisdom to the current head distiller Adam Hannett. The first thing that you pick up on is that it is ultra clean, very floral, delicate and involving. Every time I put my nose to the glass subtle flowers, herbs and a real freshness appear. For me the nose tells me so much of what to expect whether it be wine or whisky. The palate does not disappoint either with a clean nose that the barley shines through. Hints of nuts vanilla and summer flowers, all very clean. On the palate lovely bruised apples and a hint of apricot and citrus fruits. A barley sugar finish cap off what is a really lip-smacking dram.